A gorgeous venue with a massive open kitchen, rare for a French restaurant this size and scale, Caprice is an attractive space with superb views of Victoria Harbour. The décor takes its cues from 1930s-era Shanghai, from the small bar that serves fine wines from the vast cellar, to the wood-paneled cheese room, the only one of its kind in a city just acquainting itself with the pleasures of European-style cheese courses. 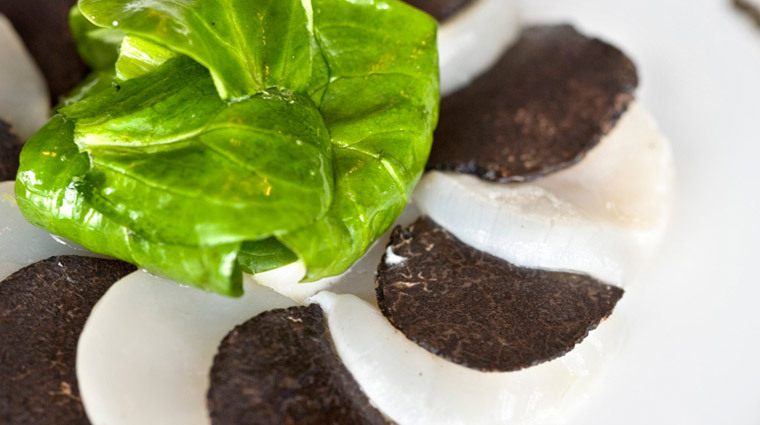 Regulars return for Caprice's show-stopping lobster carpaccio appetizer, served with whipped yuzu and caviar, or to discover dishes such as sautéed wagyu filet with charlotte potato dauphinois. As you nosh on Brittany lobster with candied fennel and carrot purée in black Thai tea sauce, you’ll get to peer out of floor-to-ceiling windows overlooking Victoria Harbour, and clear over to the International Commerce Centre. Caprice has a large open kitchen at its heart, providing a fascinating look at the flock of chefs coddling each dish and fussing over their craft. For an intimate view of the kitchen at work, groups can book a table in the wine cellar at the back of the restaurant. Adjacent to the Hong Kong restaurant, the bar is a great spot for an intimate evening of fine wines accompanied by the delicious "A Bit of Everything" cheese platter, carefully laid out on gnarled slabs of tempered German wood. The well-honed à la carte menu shows the chef has carefully thought out each dish, while still offering a decent amount of choice. You might get lucky at Caprice and receive an amuse-bouche at the beginning of your meal from the chef or restaurant manager Jeremy Evrard. You might receive an amuse-bouche such as a cherry tomato stuffed with tomato sorbet and topped with mozzarella foam. 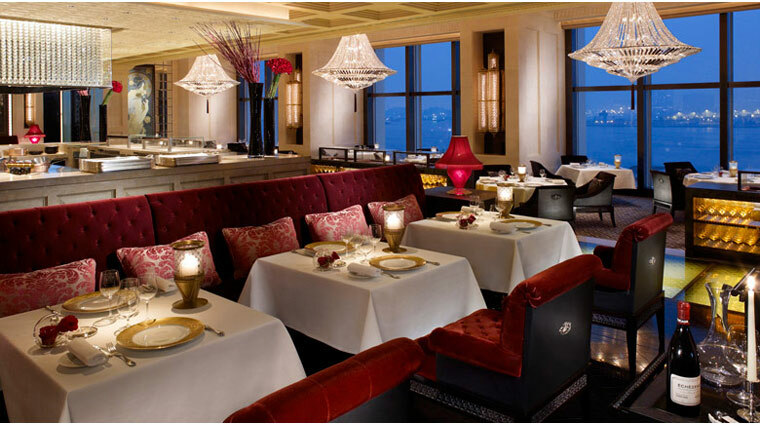 Caprice sits on the sixth floor of Four Seasons Hotel Hong Kong, the area’s most expensive resort, next to the spa. The Five-Star hotel adjoins the IFC Mall, one of the city’s top-end shopping malls, and the International Finance Centre itself, the tallest building on Hong Kong island. The best tables are the eight directly along the floor-to-ceiling glass. If you aren’t lucky enough to snag one of those spots, there is a second row of tables where the view is almost as good. Caprice isn’t an ideal place for group dining, since the bulk of the tables are designed for two, with a scattering of larger tables that comfortably seat four. However, larger groups can book the private dining room, which accommodates 12, or reserve the cheese and wine cellar, which can seat eight. The family-friendly restaurant is more than happy to accommodate young diners as long as they are older than three years of age. If you make a reservation, you’ll be reminded beforehand that singlets — sorry, you’ll have to leave your spandex wrestling wear at home — T-shirts, shorts and flip-flops are not appreciated. Gentlemen should don a collared shirt, long pants and refrain from wearing open-toed shoes, whether they visit on a weekday or a weekend. Ladies, choose your footwear carefully, avoiding the aforementioned flip-flops or slippers. 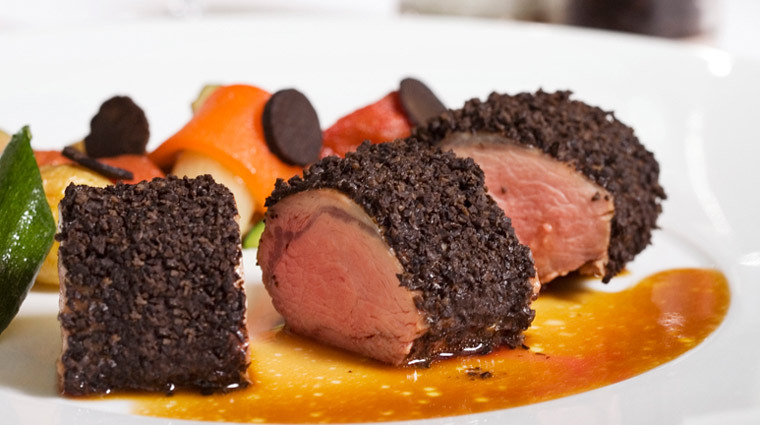 The restaurant serves up excellent contemporary French cuisine. Expect dishes such as Brittany lobster with braised fennel and cumin sweetcorn in a black Thai tea infusion, as well as wild turbot with poivrade artichokes, olive oil mashed potatoes and cockles. 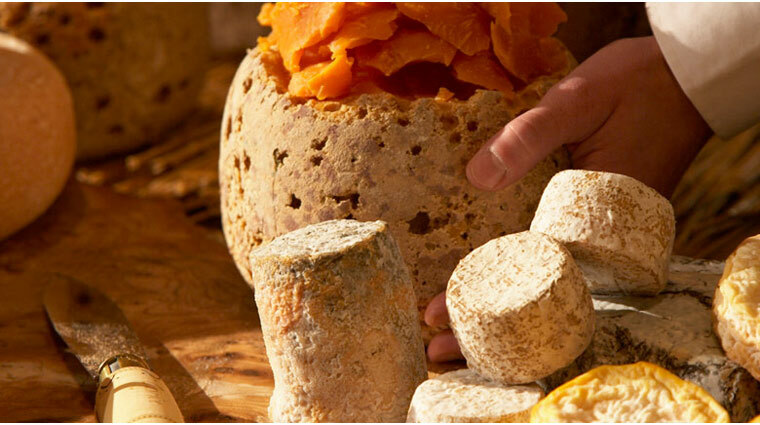 Manager Jeremy Evrard has also been with Caprice since its opening, and he oversees the restaurant’s terrific selection of artisanal French cheeses, many of which are aged in a special section at the back of the main wine cellar. There’s a selection of 10 appetizers, half of them lighter cold dishes such as the tourteau crab tiramisu with a fruity marinade and tandoori spices. The remaining items are fuller-fledged hot dishes — the langoustine ravioli with veal sweetbreads and mushrooms in a shellfish bisque emulsion is a highlight. The menu then moves on to six seafood main courses, including line-caught sea bass with violon zucchini, ratatouille and a confit of niçoise olives or Normandy sole with Iberico ham and chanterelle mushrooms in piquillo butter sauce. There are also six meat entrées, including Périgord milk-fed veal on saffron risotto, with green asparagus and orange blossom. 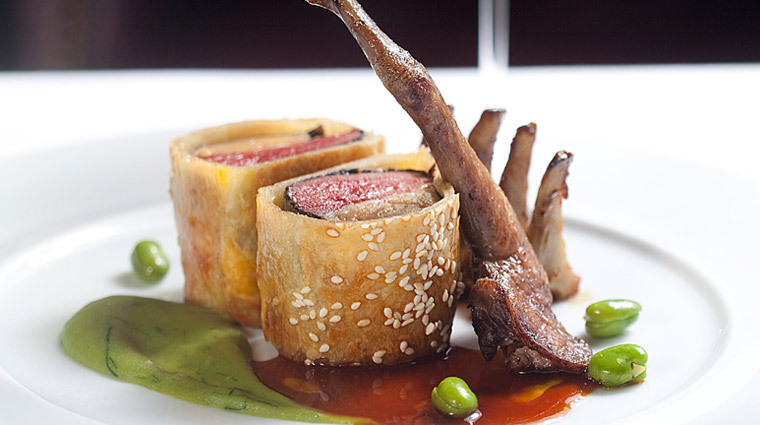 The duck dish offers canard in three styles: a Challans duck fillet, a duck leg and duck confit cooked in its own fat with a French bean roll. Hong Kong-based interior designer Alan Chan worked with Japanese designer Yasuhiro Koichi and his Tokyo-based firm Design Studio Spin to create the splendid space. The gold-leaf boxes in the wall alcoves call to mind the elaborate designs of 17th-century France, as do the intricately carved brass lamp covers in the main dining room. But the red-shaded side-table lamps, with their tassels and traditional Chinese tulip shapes, bring you back to 1930s Shanghai. There are two large tapestries — one at either end of the dining room — that were created by Czech artists and based on two famous paintings, La Plume (“The Quill”) and La Primevere (“The Primrose”), by art nouveau painter Alphonse Maria Mucha. The same Czech team also created the brass lamp covers and the four large chandeliers, which are made of Swarovski crystals. The dining-room arm chairs, masculine in their brown leather and black wood, are a new addition after the French restaurant’s recent overhaul, which also saw the original green carpet replaced with one in brown, light blue and cream semicircles. There’s a walkway illuminated by a warm yellow light that runs through the center of the restaurant and past the open kitchen, which itself is a focal point of the Hong Kong restaurant. It offers an intriguing glimpse of the 25-strong chef staff hard at work.